The colourful and impressive Swakopmund Arts and Craft Centre. 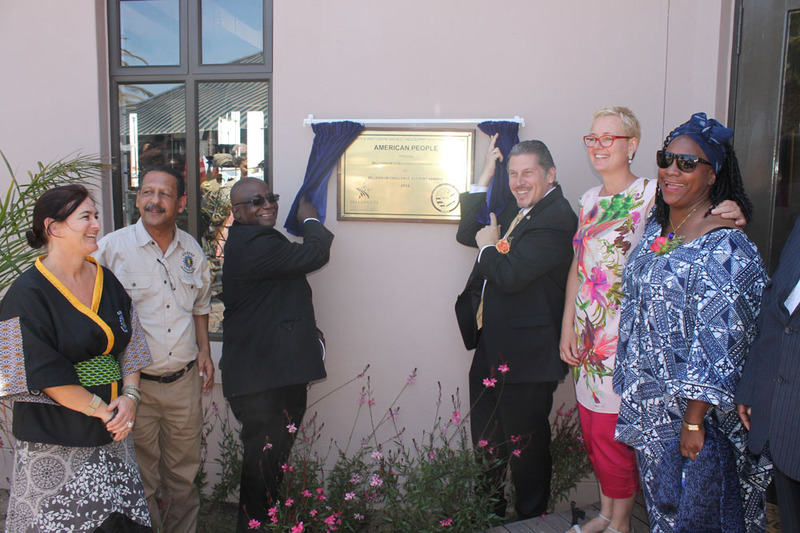 Kowalski unveil the plaque to officially open the Swakopmund Arts and Craft Centre. 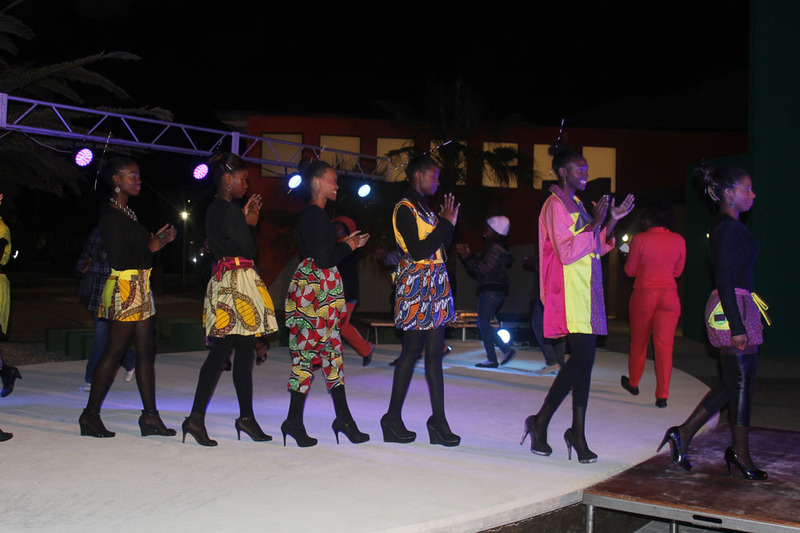 The brand new N$23 million Swakopmund Arts & Craft Centre, the highlight of MCA‐N’s vocational skills development investment, was officially launched at a colourful ceremony on 14 November 2014. The centre serves as a sales hub for arts and craft products from Community Skills Development Centres (COSDECs) countrywide and also assists artists and artisans to further develop their unique skills and products. The colourful 1,450 m2 centre comes with six incubator units, an amphitheatre for cultural performances, conference, training and production facilities, a restaurant, a fine arts gallery and an information centre. 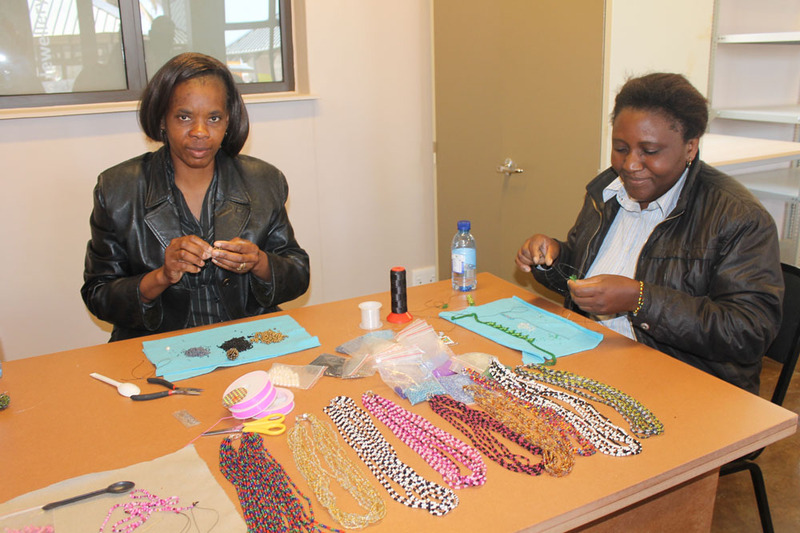 Making bead necklaces at the centre. 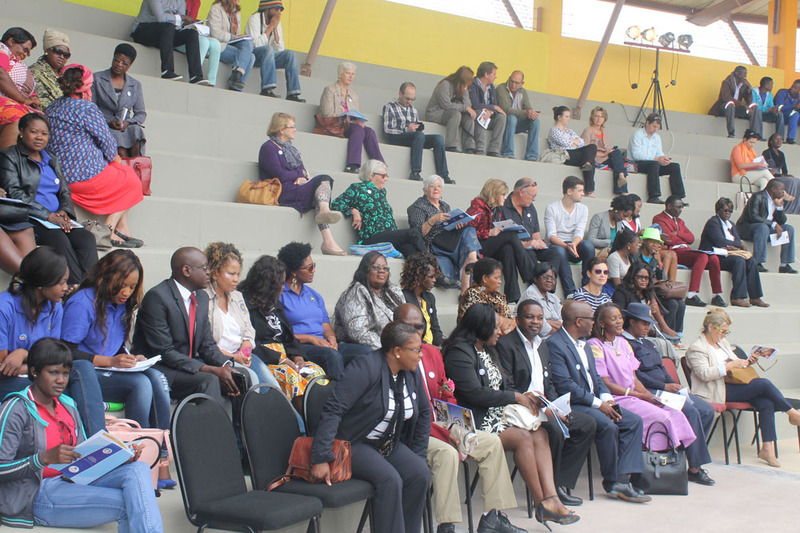 MCA‐N Deputy CEO for Implementation Eline van der Linden said in the mix of the Compact’s investments in Namibia the Swakopmund Arts & Craft Centre turned out to be the “cherry on the cake”. “MCA‐N only started this sizeable project in July last year as it proved hard to find a suitable piece of land to build it. Today the centre is completed and vibrant with activity,” said van der Linden. “This fully equipped, funky, multi‐functional and very attractive facility acknowledges the fact that the arts and craft sector has a place in the Vocational Education Training sector as a true and valuable contributor to the economy,” she added. Community Skills Development Foundation (COSDEF) Chairman Nahas Angula, in remarks made on his behalf by COSDEF Support Unit Manager Jeremy Muller, said the Swakopmund Arts & Crafts Centre was conceived to be a cultural centre where Namibian artists showcase the Namibian heritage. Implementation Eline van der Linden admire some of the handmade products at the centre. He said he was pleased that the new modern centre will provide the space and ambience for the local cultural workers to demonstrate and reveal Namibia’s cultural heritage to the thousands of visitors to the coast. “Community cultural workers now have a market place to sell their products. Currently the arts and craft scene in the country is dominated by foreign artefacts. 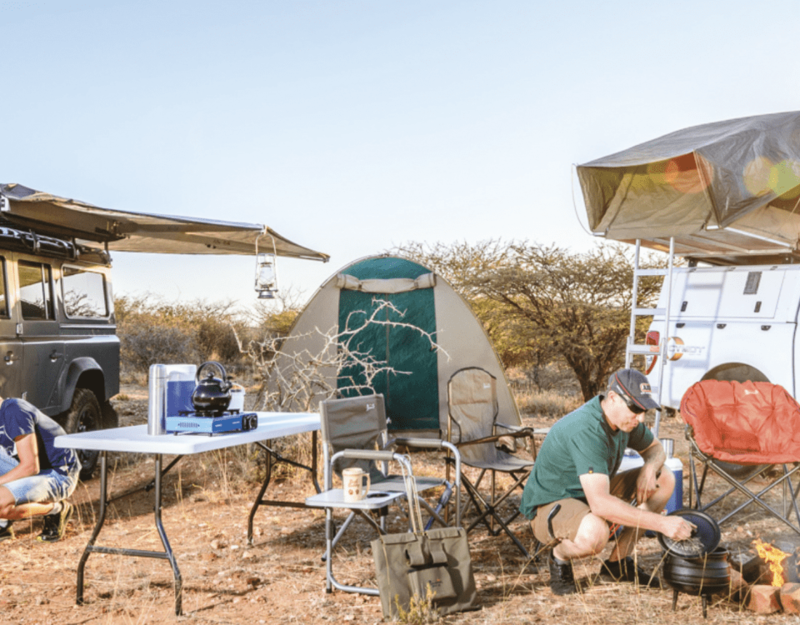 COSDEF is proud that MCA Namibia saw value in supporting our idea of promoting Namibian culture as part and parcel of tourism development in Namibia. We would like to express our gratitude to the people and government of the USA for their generous support to our ideas,” said Angula. Students held a fashion show to showcase their designs. 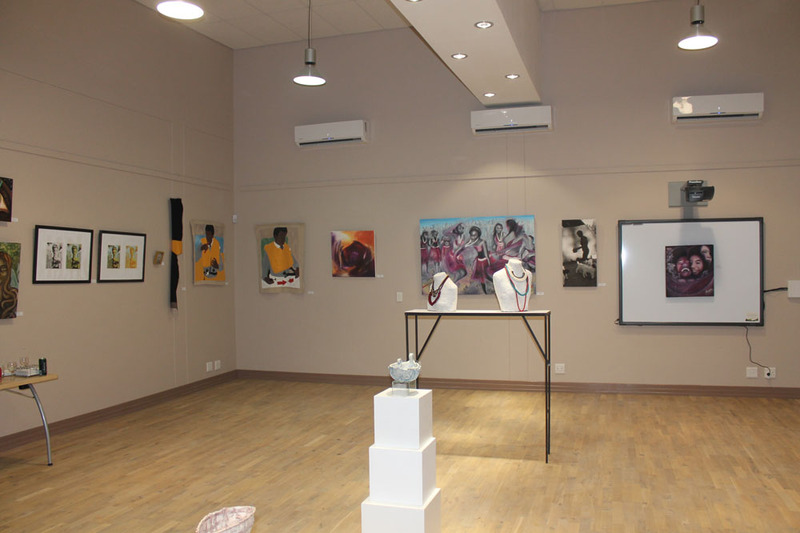 The Swakopmund Arts and Craft Centre will be reserved exclusively for Namibian arts and craft and the COSDEF Chairman encouraged local communities all over the country to ensure that their cultural artefacts were represented here. Reverend Ludwig Hausiku, Special Advisor to the Minister of Youth, said the new centre will boost local tourism and add value in job creation, thereby injecting capital in the local economy and also increase the income earning of local crafters and artists through innovation. The Arts and Craft Centre Gallery. 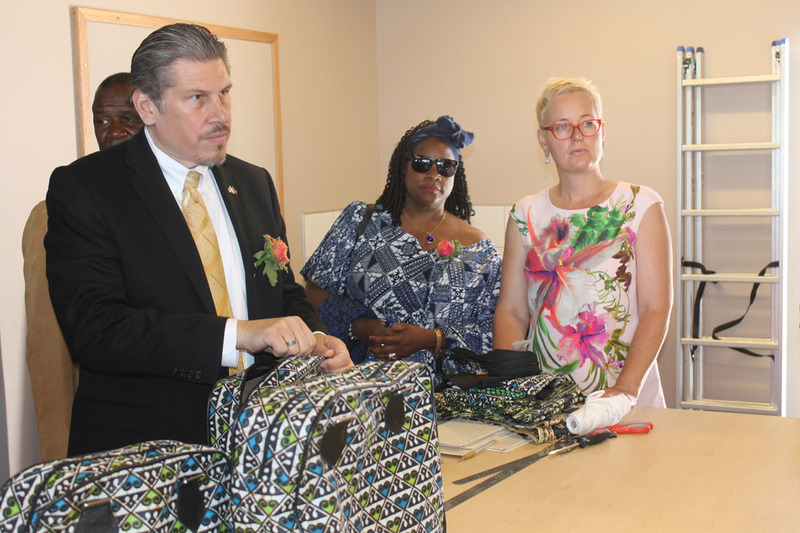 U.S. Chargé d’Affaires, John Kowalski, stressed that the Swakopmund Arts and Craft Centre was unique in the Compact as it links infrastructure improvements in all the three sectors of Agriculture, Education and Tourism that the American programme supported in Namibia. “The Arts and Craft Centre provides access to all of Namibia in a way that stimulates economic activity throughout the country. This is more than an Arts and Crafts Centre. This is a new commercial centre that has the potential to enrich all of Namibia. This centre represents all of what the Millennium Challenge Corporation stands for – economic improvement through infrastructure development, capacity building and vocational training to provide greater opportunity for economic growth and livelihood improvement,” said Kowalski. The Arts and Craft Centre Amphitheatre. Artists and craft makers expressed their sincere gratitude to MCA‐N for making the centre a reality. They said for years they had struggled to produce and showcase their creations.